The eyes have long been known as the “windows to our soul” and there’s no better way to brighten the view through those windows than the eye lift (blepharoplasty). 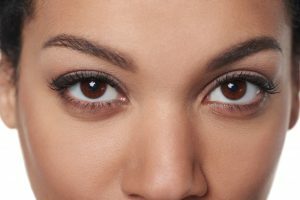 With time and life experience, our eyes accumulate excess skin that leads to sagging, bagging and hooding. Dr. Houser of Cosmetic & Plastic Surgery of Columbus offers several approaches to an eye lift that can leave you with a more youthful, energized appearance and possibly even better vision—all without changing the natural shape of your eye. Patients come to us for an upper eye lift when excess skin in the upper eyelid is creating a hood over the eye or a puffy, tired appearance. For some patients, fat alone is removed and there is no scarring. For those who need skin removed as well, the scars remain carefully hidden in the eyelid crease. In each case, the result is improved vision as well as a brighter, younger appearance to the eyes. Many of us reach a point in life when, regardless of how many hours of sleep we’ve had the night before, we still wake up with bags under our eyes. Dr. Houser is able to easily remove, reshape, or reposition the fatty deposits, and in some cases, remove extra skin to eliminate the appearance of tired baggy eyes. For some patients, fat alone is removed and there is no scarring. Just as with the upper eyelid lift, the result is a natural-looking, more youthful and refreshed appearance to the eyes. It’s important to keep in mind that “crow’s feet” or dark under-eye circles are not corrected through an eye lift. Many people combine the eye lift with a brow lift, facelift, and/or a non-surgical injectable for a more thorough refresh of the entire face. The only way to really know which options will provide the results you’re looking for is through a consultation with Dr. Houser. He’ll listen carefully to understand your goals, thoroughly explain only the most relevant options, and will never try to pressure you with unnecessary procedures. Dr. Houser and the staff of Cosmetic & Plastic Surgery of Columbus pride themselves on maintaining certification as an approved, private surgical facility, which means your eye lift will be conducted on site at the same location where all your prior appointments took place. As with the majority of Dr. Houser’s surgeries, twilight sedation will be used for a gentler recovery experience with less nausea and vomiting. For all eye lift surgeries, the recovery time is about two weeks. Most patients experience minimal bruising and, because of strategic incision sites, scarring will be small and hidden. Call today for a consultation with Dr. Houser. Cosmetic & Plastic Surgery of Columbus looks forward to working with you and helping you find the best path to brighter, younger-looking eyes!